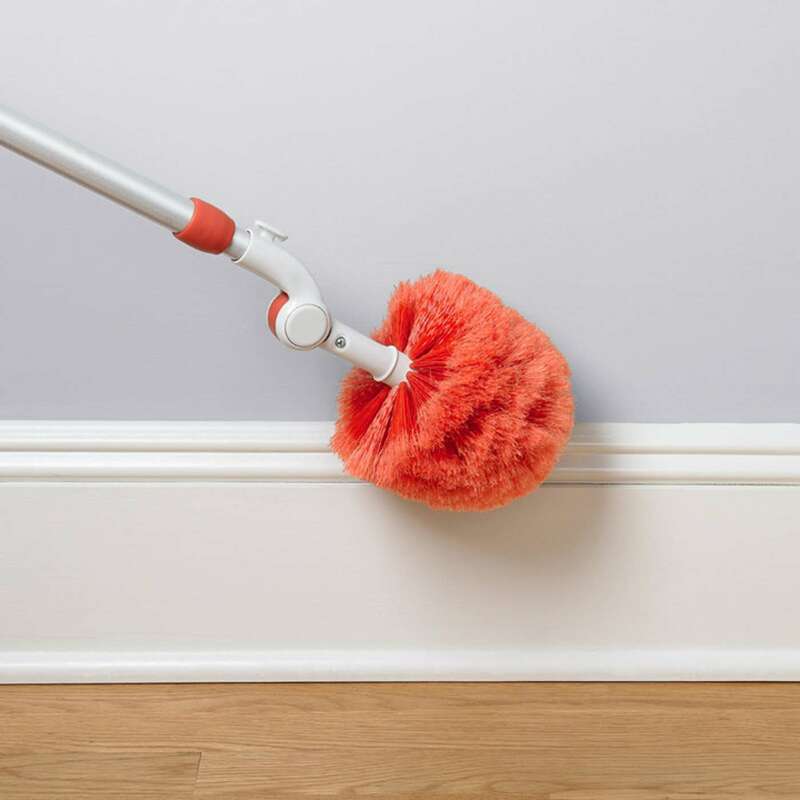 The Long Reach Dusting System has everything you need to clean the baseboards, the ceiling and everything in between. 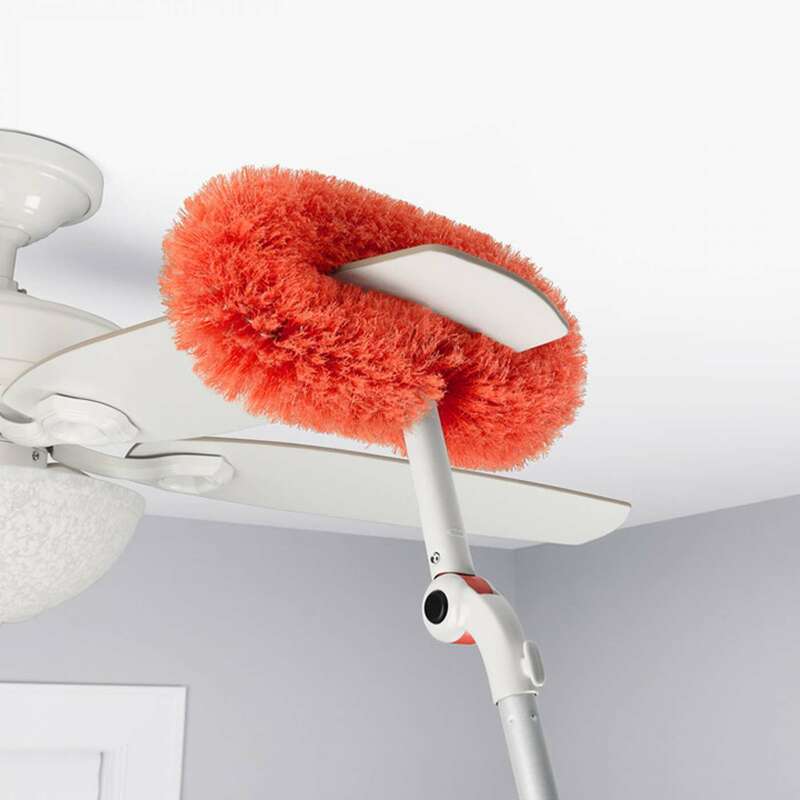 The Dusting System consists of three interchangeable heads that pivot and lock into multiple positions over 225° to clean at any angle. 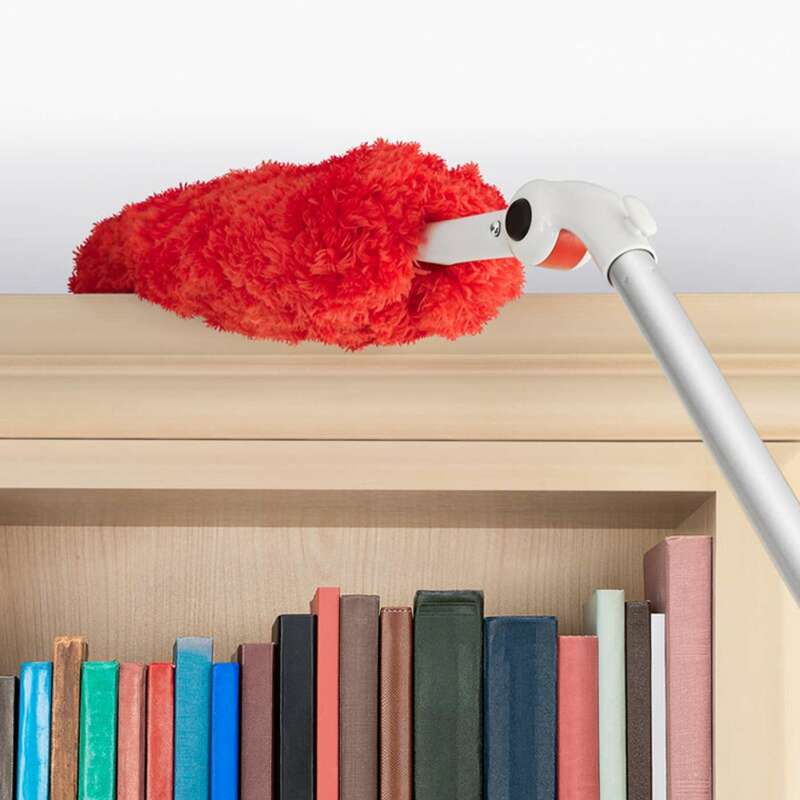 The microfiber head has long, fluffy fibers that get into nooks and crannies on bookshelves, dressers and more. 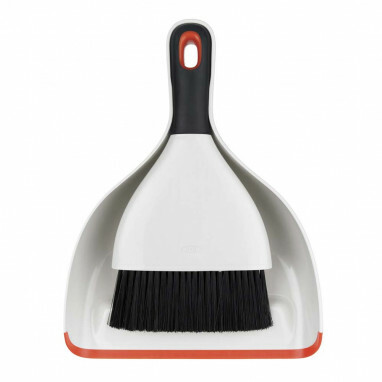 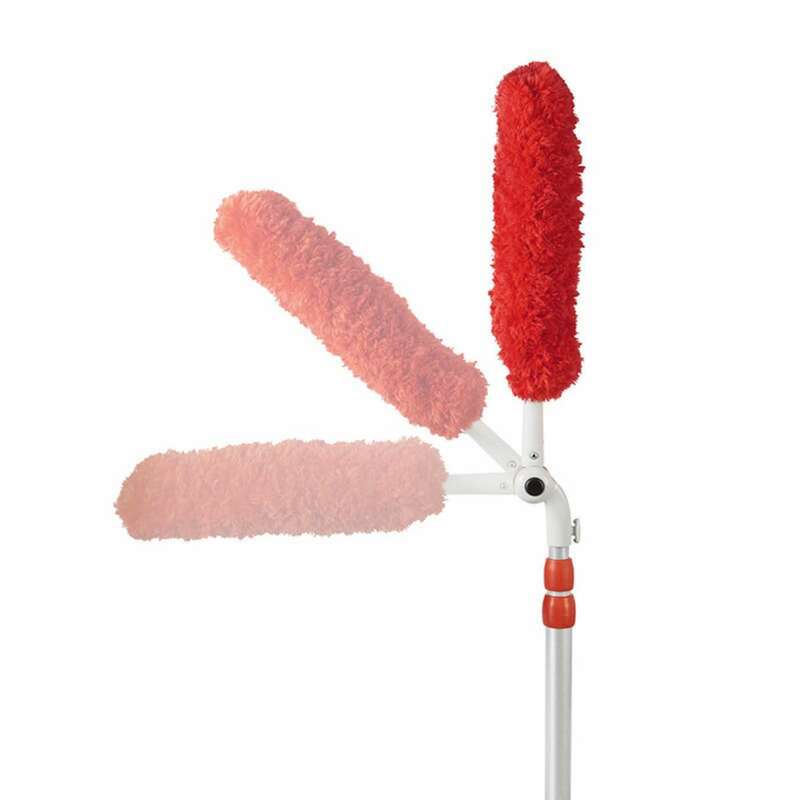 The cobweb duster features flagged bristles that trap dust and webs and is easy to rinse clean. 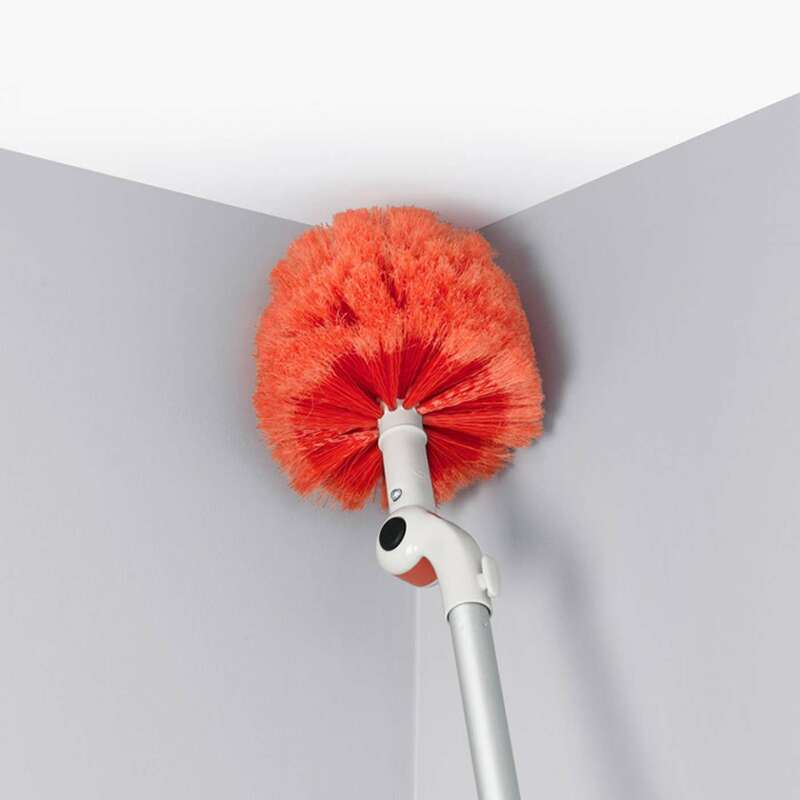 The closed loop duster cleans all walls and ceilings. 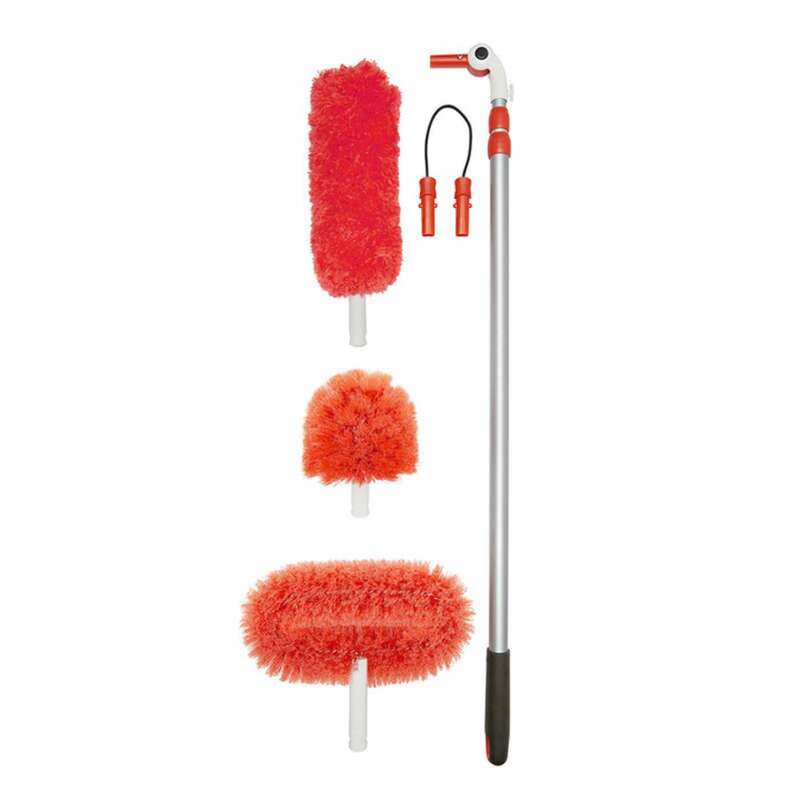 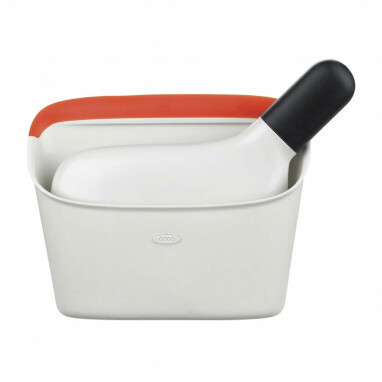 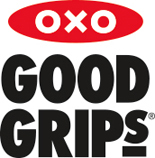 The sturdy steel pole extends up to 8 feet and collapses to 3 feet for convenient storage.